I’m still recovering from a couple of memorable days at St Peter’s College Oxford, where the BBC’s event to celebrate the Radio 4 adaptation of Vasily Grossman’s vast and still under-appreciated novel Life and Fate was followed by an interdisciplinary conference on Grossman. I’m still gathering my thoughts on the latter, so I’ll save that for another occasion, and focus on the BBC day for now. I found the first session of the day the most interesting: a discussion of the dramatization of the novel for the radio, chaired by Bridget Kendall and featuring the director of the adaptation, Alison Hindell, and the dramatizers Jonathan Myerson and Mike Walker. It gave a good insight into the process, from the initial decision to reject a straightforward chronological adaptation in favour of a more mosaic-like approach, turning the novel into 13 plays, to keeping a 15-minute slot empty until the overall production could be assessed to see what needed adding – the decision was to incorporate a condensed version of the Gulag story to balance out the comparison of Nazism and Stalinism. What became apparent was how important characters are to radio drama, and that changing the entire structure to being together different characters’ stories in single plays rather than spreading them throughout episodes was probably the right decision, but will it end up a bit like a soap opera because of this? is that an inevitable result of the process of adaptation? That remains to be seen, but I think the restructuring of the novel for the adaptation has the potential to reveal aspects of the original that are not immediately apparent. The fact that you can download all the plays and listen to (most of) them in any order also excites my interest, as well as generally being a good thing for people who can’t just drop everything to listen to it all next week. You have to applaud the BBC’s ambition in bringing the production to the radio, and I’m very much looking forward to it, even though some of it will be difficult listening. From my point of view, the rest of the day was less compelling, as discussions of Grossman’s biography and the significance of Life and Fate didn’t really tell me anything new. But it was revealing in another respect. Working in literary studies, I’m used to academic conferences with tiny audiences, where we’re basically talking to ourselves. I’m not sure how many people attended, but particularly for the main attraction, the appearance of Andrew Marr to record Start the Week, the chapel was pretty packed. I’m sure there were a few radio 4 aficionados who didn’t have any specific interest in Grossman, or had heard about the adaptation and wanted to find out more, but there were also clearly quite a lot of people there who were really engaged with the topic and had read or were reading the novel. For a literary scholar constantly fighting against (and being worn down by) the perception – not only in government, but also in parts of the academic establishment – that what we do has no value or wider purpose, it was good to see evidence to the contrary: people are interested in literature and want to know more about it. The Amazon Movers and Shakers page provides confirmation: sales the new edition of Robert Chandler’s brilliant translation that was used as the basis for the adaptation increased by 17,450% in 24 hours, and other editions/translations of Grossman have also shot up. The day ended with one of the stars of the adaptation, Janet Suzman, reading Anna Semenovna’s letter to her son Viktor from the Berdichev ghetto, on the eve of the massacre of the town’s 20,000 Jews. It was extraordinary, powerful, terrible and moving. This week sees the 70th anniversary of that massacre, in which Grossman’s mother was killed. I can think of no better way of marking it than introducing a new audience to Life and Fate. The first play is on Sunday 18 September. I had similar thoughts about the BBC day. Janet Suzman’s performance really was incredible – though I’m slightly dreading the radio play now, I’m not sure if I can go through that again! Your point about the public’s interest in literature is interesting as well. I had a similiar experience up at the Edinburgh Book Festival at a talk on Czeslaw Milosz’s ‘The Captive Mind’. I thought the audience for that would be verging on the tiny, but it was very well attended – and judging from the questions at the end, they were all very well informed. 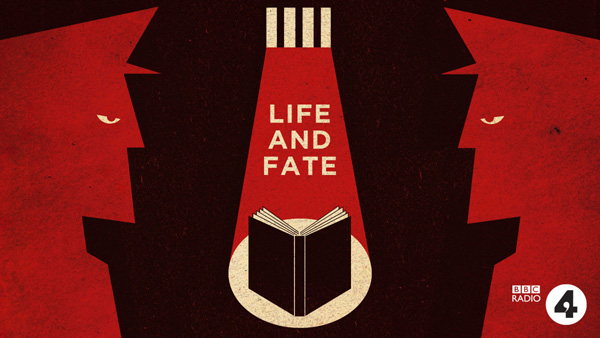 There is definitely an appetite for literary culture out there to be tapped. It is good to know, but I worry that there’s another side of this that is less positive, in terms of the distance between the approaches of academic literary scholarship and what ‘ordinary’ readers experience. My next post may well be on that. I think the BBC should probably put on support groups to help listeners cope with it! Wow, Kenneth Branagh! I think you’re right, this is really encouraging; popular adaptations of Russian literature needn’t begin and end with Dostoevsky. Thanks for the link! Why does Grossman always refer to the river that flows through Leningrad as the Volga when it is geographically the Neva? I wasn’t aware that he did. What part of what work are you referring to?